When you have the Office 365 Pro Plus client in the environment, it has the same update channel configuration as Windows 10. 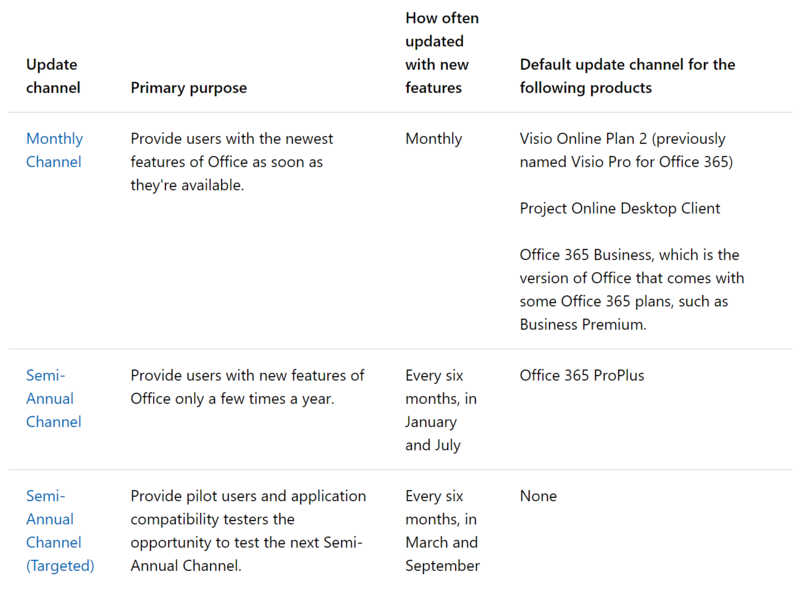 Microsoft list the update channels on their Office 365 channel overview page. Keeping track of the support matrix for the users in each channel is tricky, but important. This is useful, it shows us a load of great data. 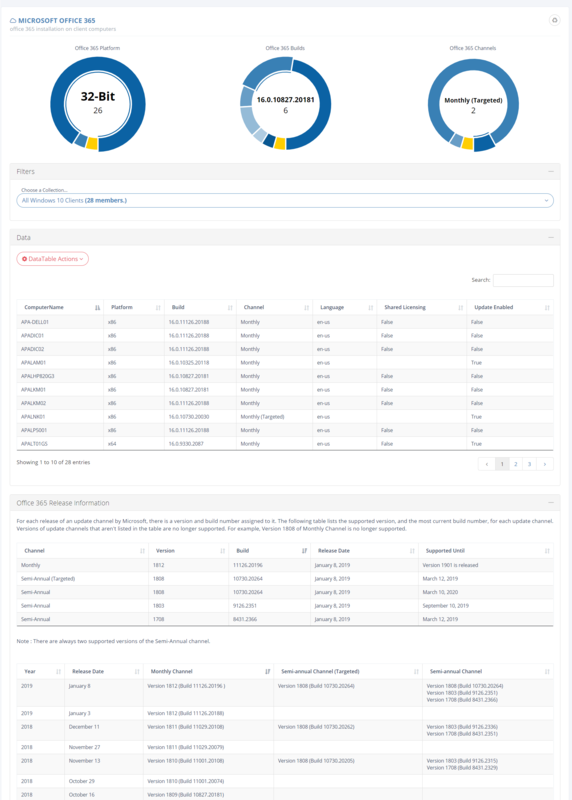 The donut charts show the breakdown of the versions and channels in the environment (filtered by collection). The Office 365 Support Status chart is the jewel in the crown of this part of Callisto. We construct this chart by combining the release data from Microsoft with the inventory data from Configuration Manager. This allows us to quickly show where supported and unsupported Office versions are deployed in your environment depending on the build version and channel. 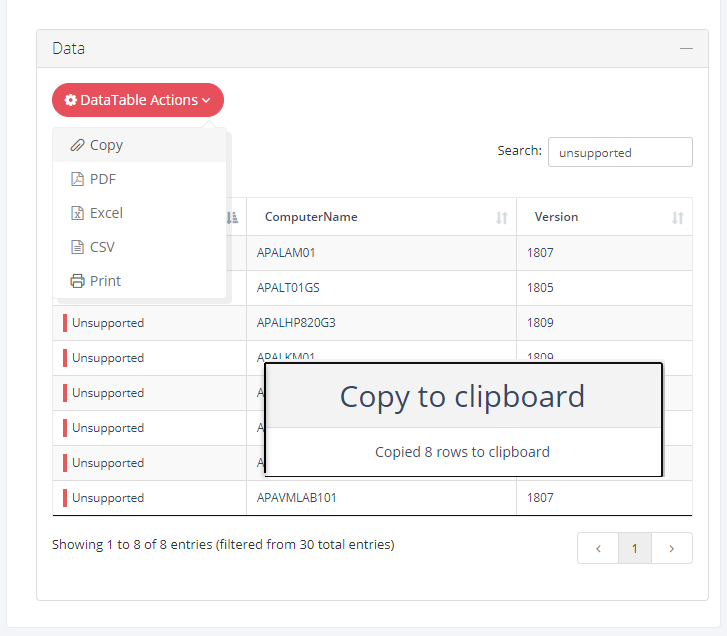 We can sort and filter the data table and then quickly export the filtered results to work on in Configuration Manager. 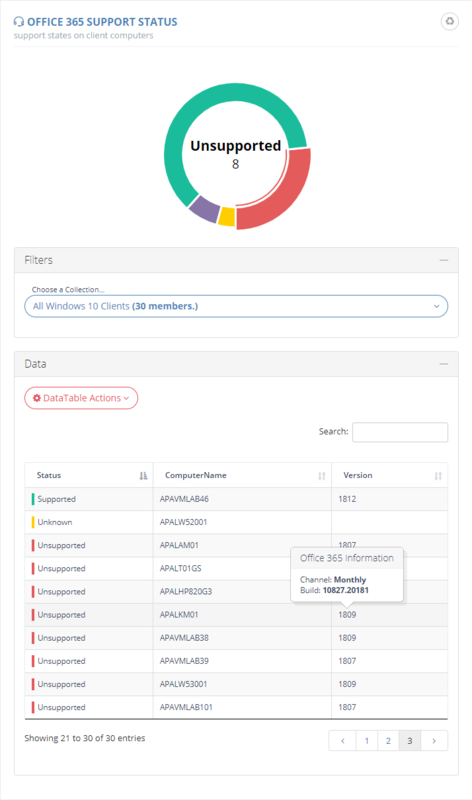 The Office 365 page is just one of 30 areas that Callisto provides to help you make better use of your System Center data so please give Callisto a try by registering for a fully functional trial. To see Callisto in action, please check out one of our feature videos.